HARTFORD - The Connecticut Supreme Court has vacated a felony murder conviction in a case that included the first Amber Alert ever issued in the state. The high court, in a decision released Thursday, found that Jennifer Helmedach's lawyers should have told the then 24-year-old about a plea offer before she testified about her role in the September 2004 slaying of 20-year-old Faye Bennett in Meriden. The ruling upholds an earlier Appellate Court decision. Prosecutors had offered Helmedach's attorney a 10-year sentence in exchange for a guilty plea to a robbery charge. They withdrew that offer after Helmedach's testimony and she was eventually convicted of felony murder and sentenced to 35 years in prison. Helmedach has acknowledged she was in the room when her friend Bennett, who was pregnant, was stabbed and strangled by Helmedach's boyfriend, David Bell, who is serving an 85-year sentence for the crime. The couple fled the scene with Helmedach's then-1-year-old daughter. 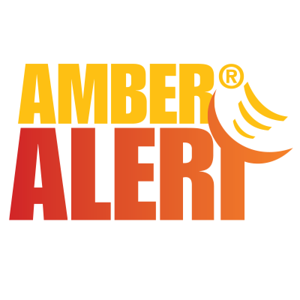 Police, who initially believed Helmedach was the victim and the baby had been kidnapped, issued the Amber Alert. The baby was later found safe at a friend's home. Helmedach's trial attorney has said he decided to withhold the plea offer from her until after she was off the stand, fearing it might affect her two days of testimony, according to court documents. Justice Gregory T. D'Auria, writing for a unanimous high court, acknowledged that lawyers are given wide leeway in determining trial strategy. “Nevertheless, despite the unstructured nature of plea bargaining, the United States Supreme Court has determined that counsel at least has a duty to present to the defendant any plea offer received from the prosecution,” he wrote. Helmedach has been out of prison under electronic monitoring since the Appellate Court ruled in her favor in 2016. Her appellate lawyer, Conrad Seifert, said the ruling means Helmedach will be allowed to accept the plea offer of 10 years. Because she has already served 11 ½ years in prison, she will be freed unless the state decides to take the case to U.S. Supreme Court, he said. A Chief State's Attorney's Office spokesman said prosecutors are reviewing the decision. Posted in New Britain Herald, General News, State on Thursday, 9 August 2018 16:31. Updated: Thursday, 9 August 2018 16:34.